Item # 306189 Stash Points: 1,199 (?) This is the number of points you get in The Zumiez Stash for purchasing this item. Stash points are redeemable for exclusive rewards only available to Zumiez Stash members. To redeem your points check out the rewards catalog on thestash.zumiez.com. Be bold and distinguish yourself from the crowd with the all-new Empyre Player Black Visor. 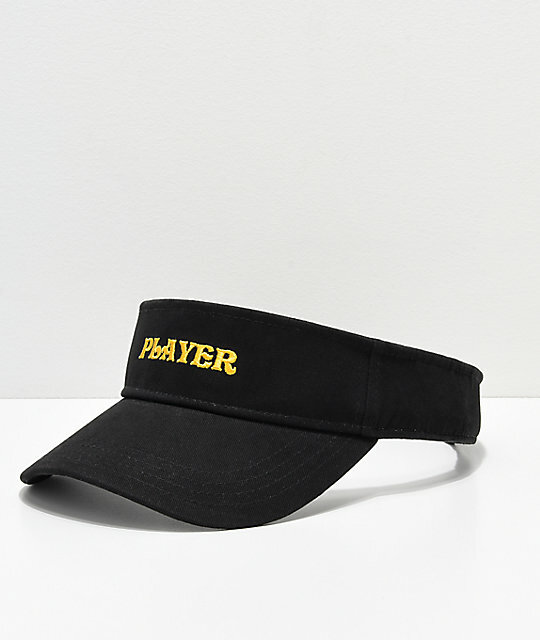 This crownless accessory features the text "Player" embroidered across the front while the back is equipped with an adjustable hook and loop fastened strap for a custom fit. Player Black Visor from Empyre. Embroidered text on the front. 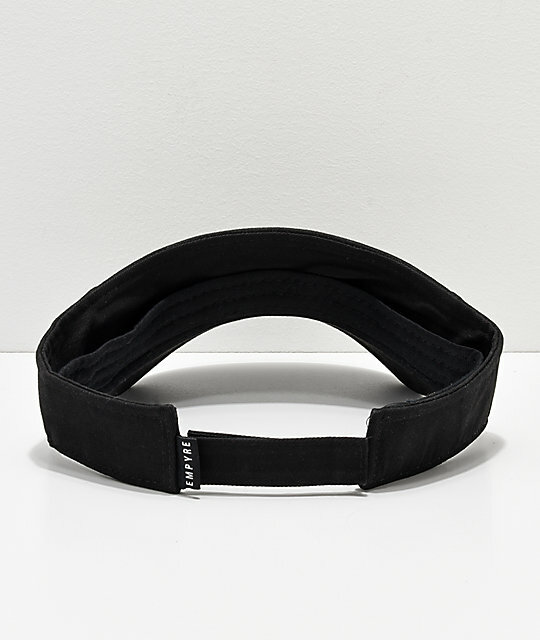 Adjustable hook and loop strap with a woven brand tag on the back.